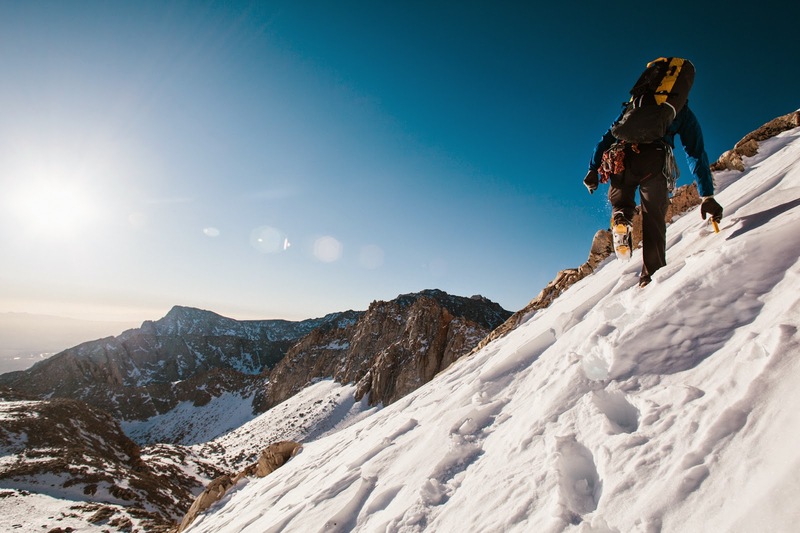 DPS Skis has taken their first steps into making ski movies with their new short, "Sanctuary." 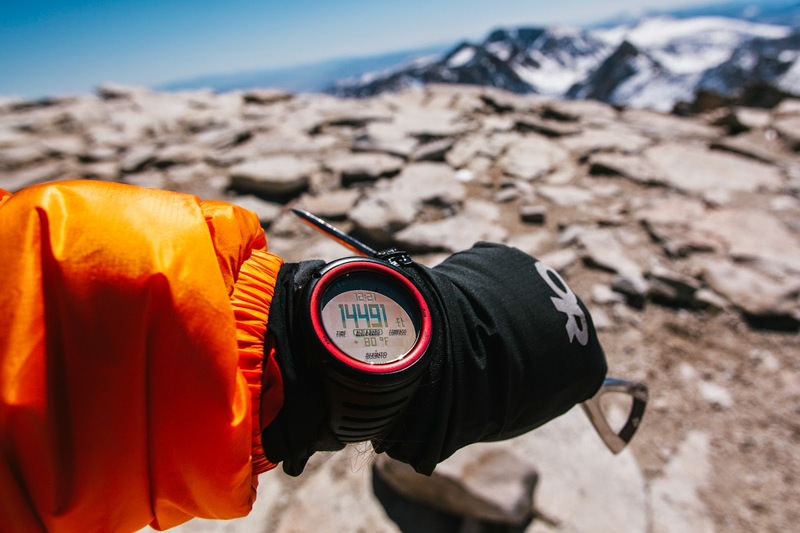 Set in Valle Nevado, Chile, this is the first in their four-part "Shadow Campaign" series that will later feature Mt. 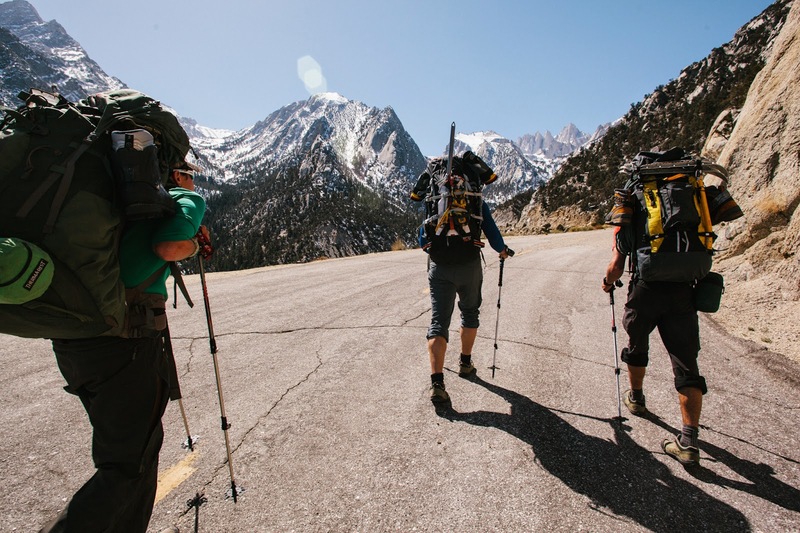 Baker, Baldface, and Refugio Frey. Canadian Mountain Holidays is the worlds longest running heliski operation. So when the Solomon team see their advertisement for "The World's Best Skiing," they decide to call them out on twitter. To their surprise, CMH decides to prove their claim by inviting the crew to experience the awesome tree skiing for themselves. 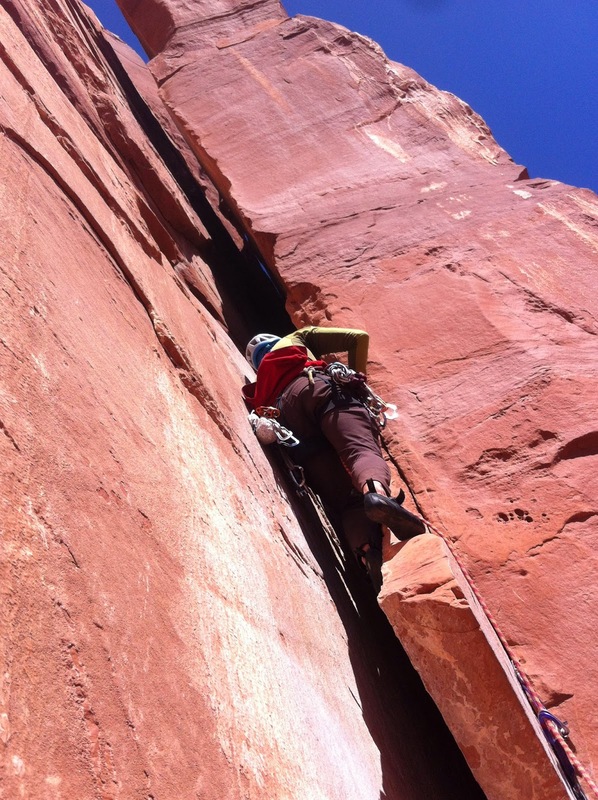 Even though the temps are dropping here in the PNW, there is still plenty of good climbing to be had out there. For those of you who are enjoying you own versions of Rocktober, here's some sweet Macedonia Bouldering from the Petzl Roctrip 2014. 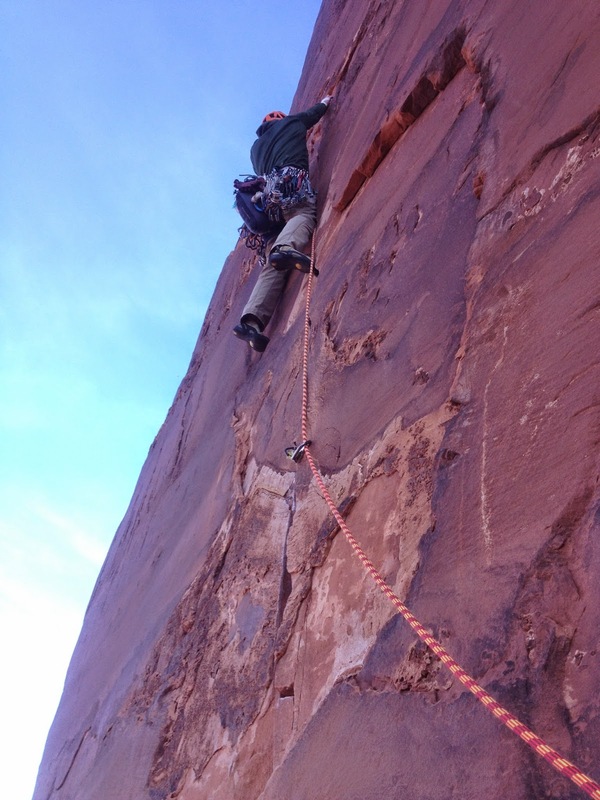 Last April, I attempted a challenging link-up in Castle Valley, Utah with my good friend Steffan Gregory. 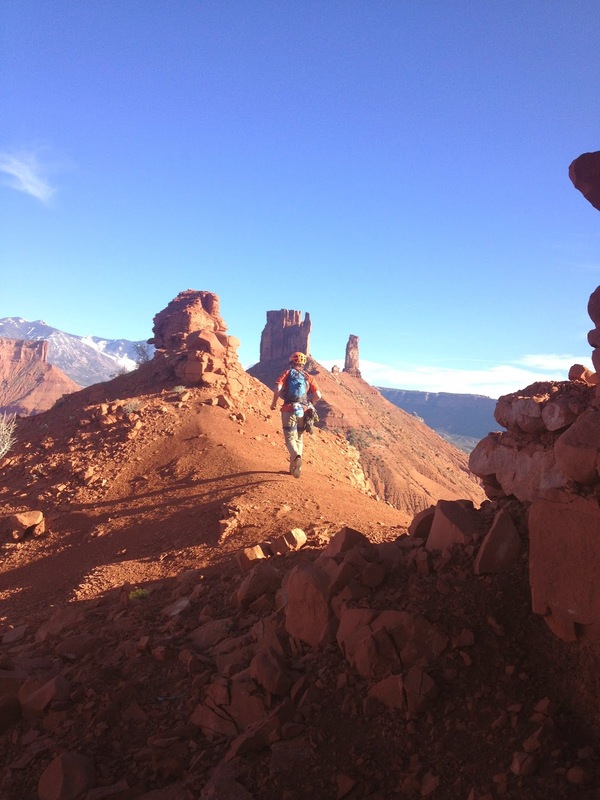 For those who aren’t too familiar with the area, Castle Valley is located just outside of Moab. 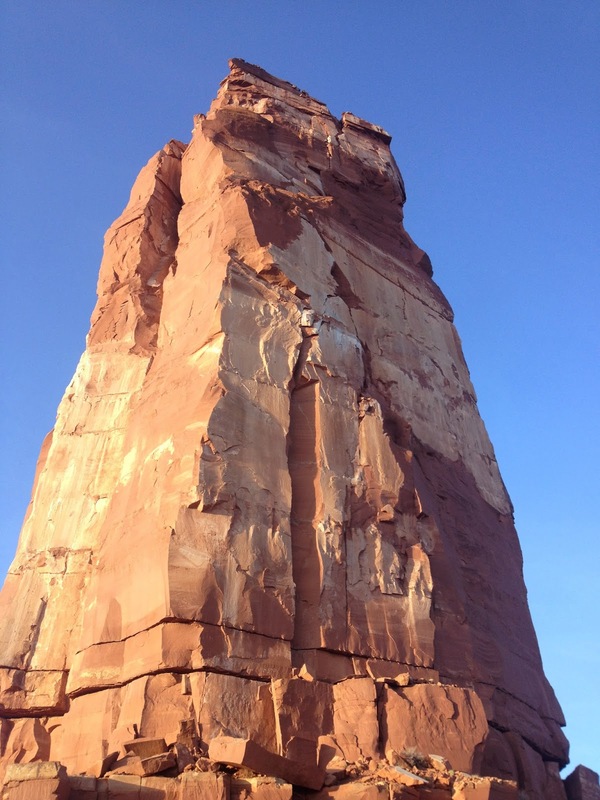 The area is centered around Castleton Tower, which was the first Utah desert tower ever climbed, but contains several other towers and island mesas. 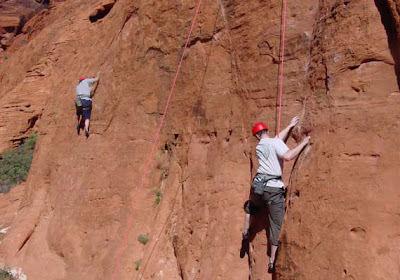 Desert tower climbing is a unique climbing experience. 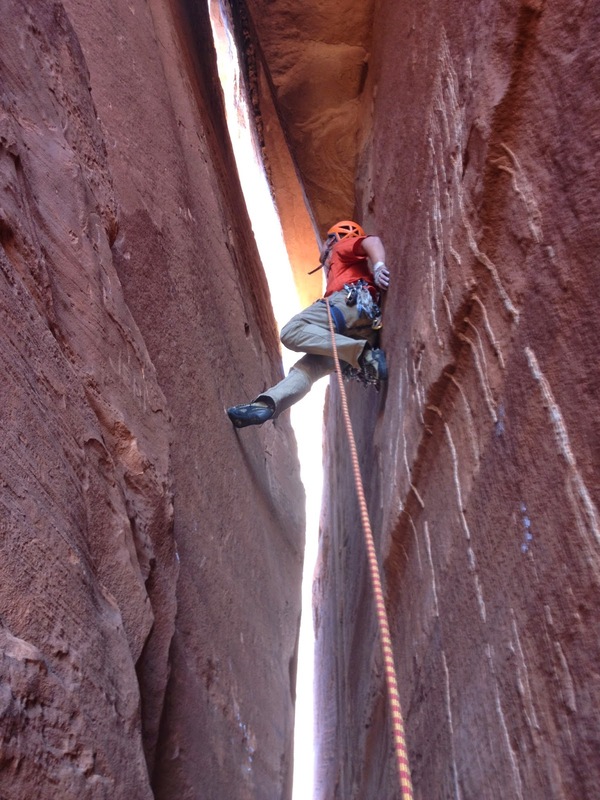 Imagine 4-6 pitches of steep sandstone cracks to summits that are sometimes pinnacles just wide enough to stand on. Throw in some loose rock and sections of funky climbing for a bit of an alpine feel, and you’ve got Castle Valley. (The main Castle Valley attractions, R-L: Castleton, The Rectory, and The Priest. I had stood on Castleton before and been inspired by the very aesthetic ridgeline that connected the towers- from Castleton to The Rectory, The Priest and, a mile down the ridge, Sister Superior. 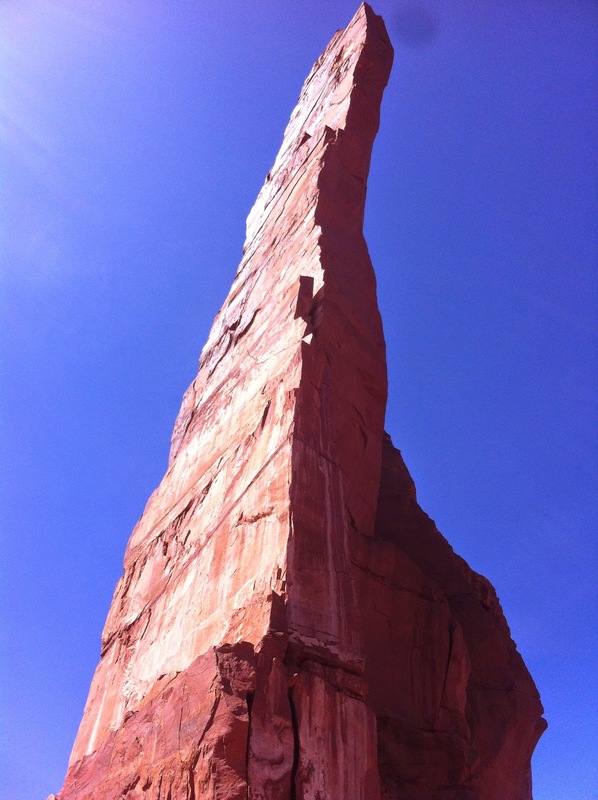 Each tower held at least one classic route in the 5.10+ to 5.11 range. 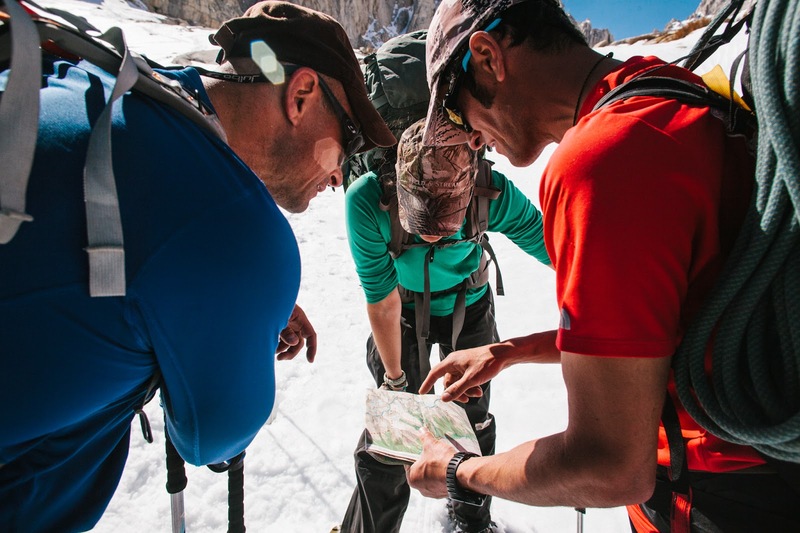 Here the idea to connect them-doing a route on each of the formations in a day- was planted in my mind. It would be the perfect testing ground for where we were at both in strength and technical ability. 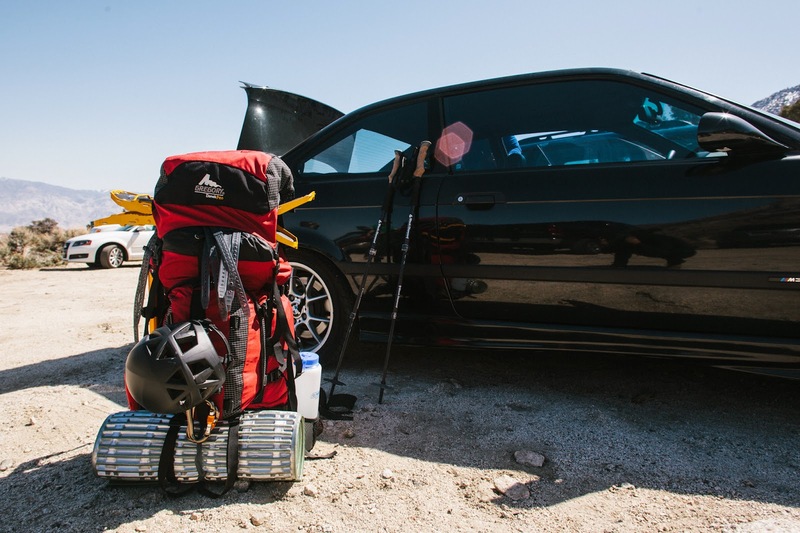 When we arrived in Moab and started putting the gear together, we quickly realized that this was going to be more difficult that we had originally thought. 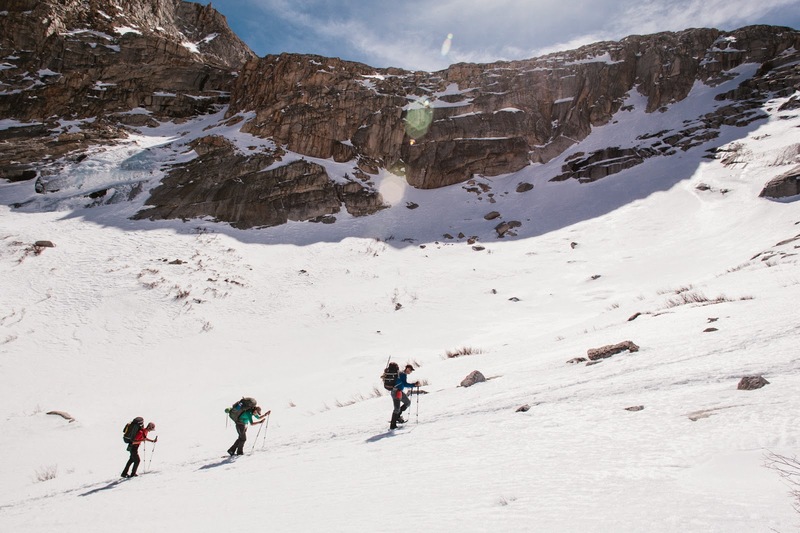 3+ miles of hiking, and 18 pitches of full-value, gear intensive climbing. After doing some research, we also discovered that the somewhat broken ridgeline between Sister Superior and the others did not have an established trail, and the topo map showed what looked to be some vertical steps in what we could only assume was some classic Utah mudstone, which is just as it sounds- terrifying. We spent some time debating from which side to start. In the end, we decided to shuttle the gear that wasn’t needed for the far-off Sister Superior to the bottom of Castleton and start on the far end the next day- get the longest amount of hiking over with. We got a predawn start towards Sister Superior, and despite having to force our way up steep sand to the tower, arrived just as the sun was coming up. 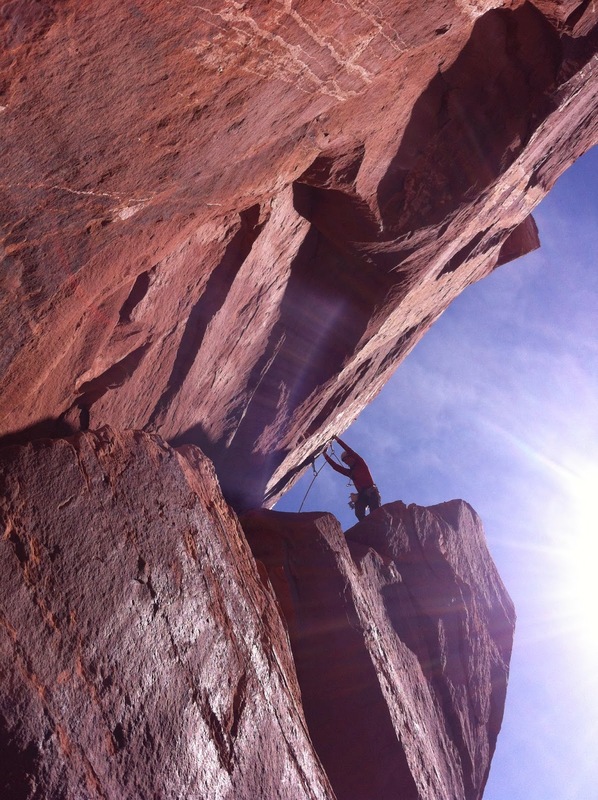 Our route on Sister Superior was Jah Man, a classic 5 pitch 5.10. 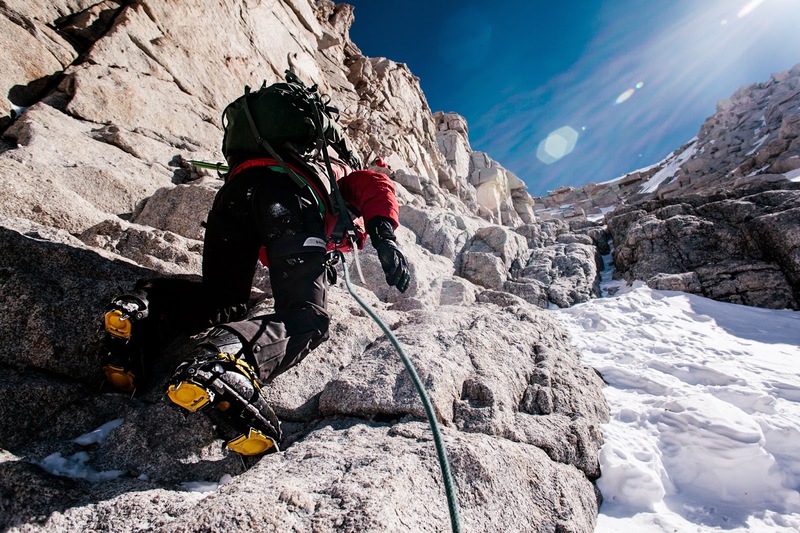 The route was indeed amazing, with a bit of everything- chimneying, face climbing, and a steep and pumpy crux pitch culminating in a summit just big enough for the two of us to stand on. We took some pictures, and started our rappel. Unsure how the ridgeline was going to go, we began to run to make up time. 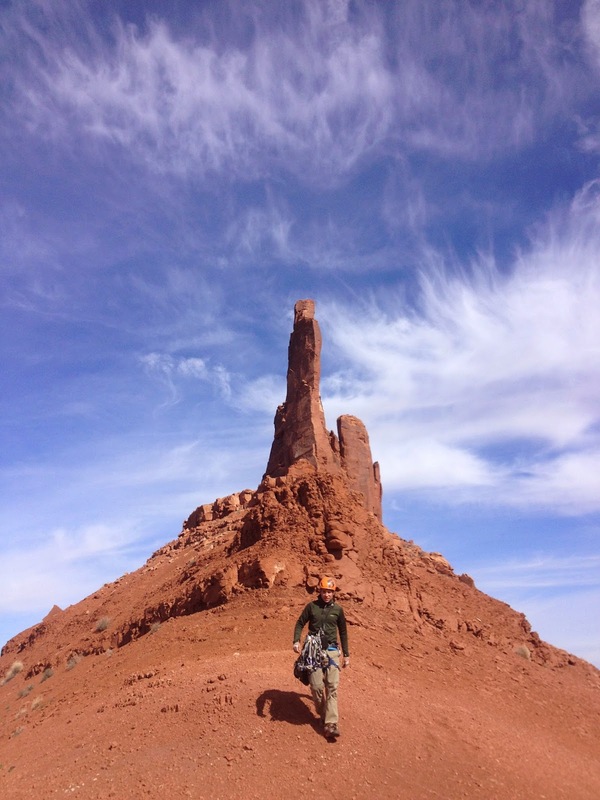 We were stoked to find passage through the rock bands that didn’t involve down-climbing mud. Coming up towards the Priest, we found the steep steps more difficult, with some mud-aneering required, but just as we got to the steepest part, we found a knotted rope hanging from the top of the cliffs. 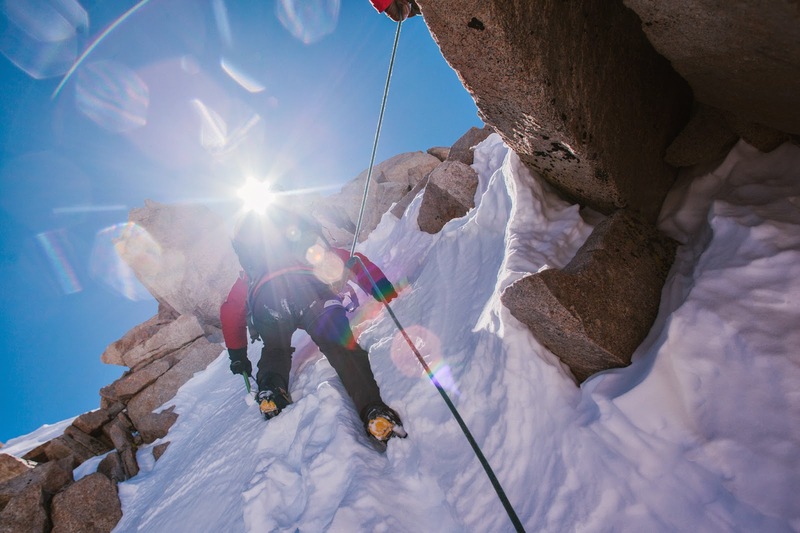 Rather than fully commit to using the questionable rope to ascend the cliffs, we simply used it as a measure of protection and free-climbed to the top. 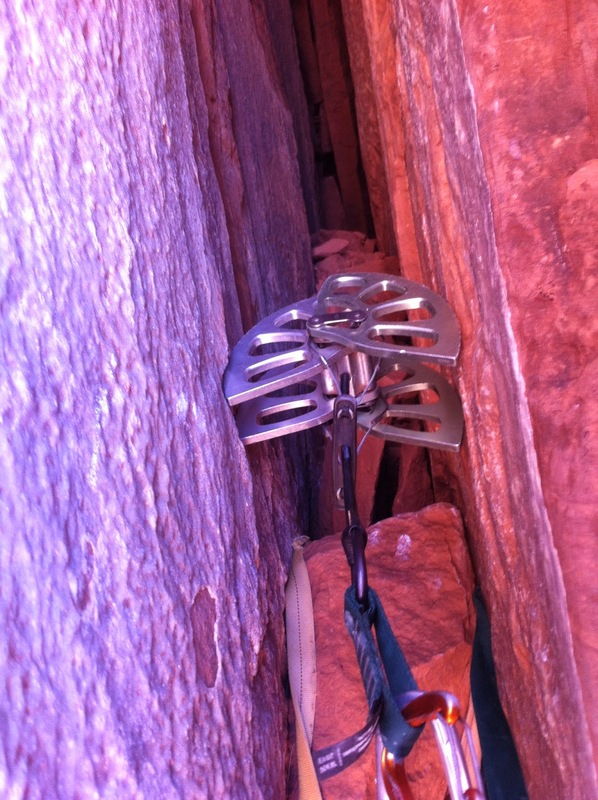 At the top were many pieces of re-bar fixed vertically into the sandy rock, the rope anchored to a few of these. 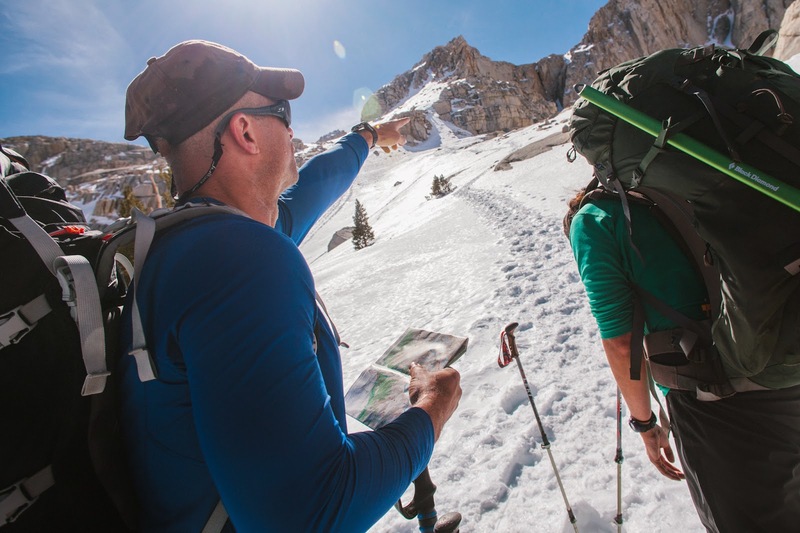 We would find out in conversation with a local guide later that these were most likely left in place after an adventure race that was held along the ridgeline a decade ago. Our route on The Priest was called the Honeymoon Chimney, and featured 2 pitches of chimney climbing, followed by some 5.11 face climbing to the top of the tower. 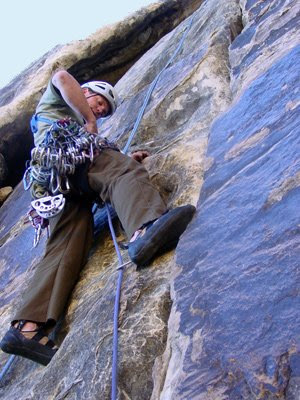 The first pitch was said to be pretty mentally taxing, so chimney-master Gregory agreed to put the rope up. The chimney, while only rated 5.9 was just tight enough to wedge your body in, and establishing yourself required a wide lie-back which could only be marginally protected without the use of a big-bro or appropriately sized 2x4. 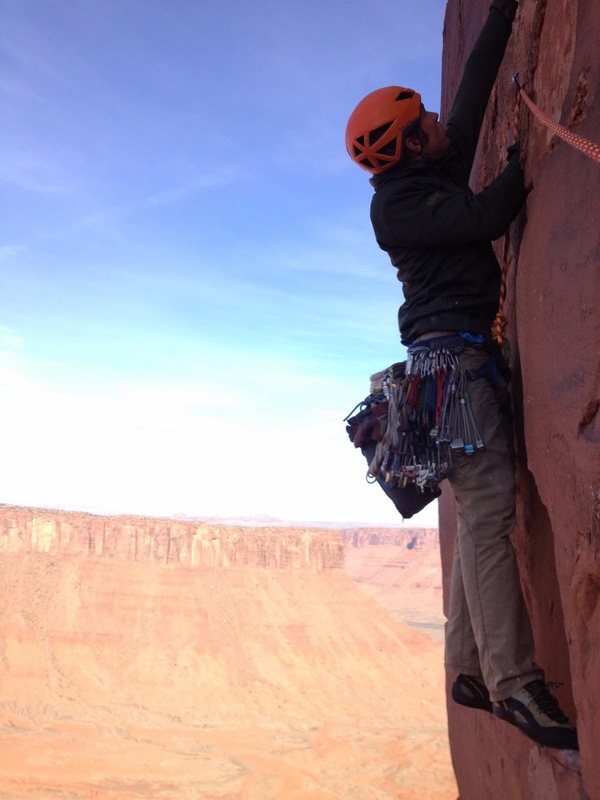 Some cursing followed by the sound of metal scraping on sandstone, and Steffan yelled, “Off-belay!” My pitch featured enjoyable chimney moves protected with a Beckey-era pin. The face-climbing proved to be quite a bit harder than 5.11, and in an effort to keep our momentum, we ended up french freeing quite a bit of it. An airy step-across move would prove to be one of the highlights of the link-up. Upon hitting the ground, we made a dash for our route on The Rectory, Fine Jade. This was statistically the most popular route in Castle Valley and sure enough, upon our arrival a party was on route, with two in line. The sun was approaching the horizon. We were hosed. 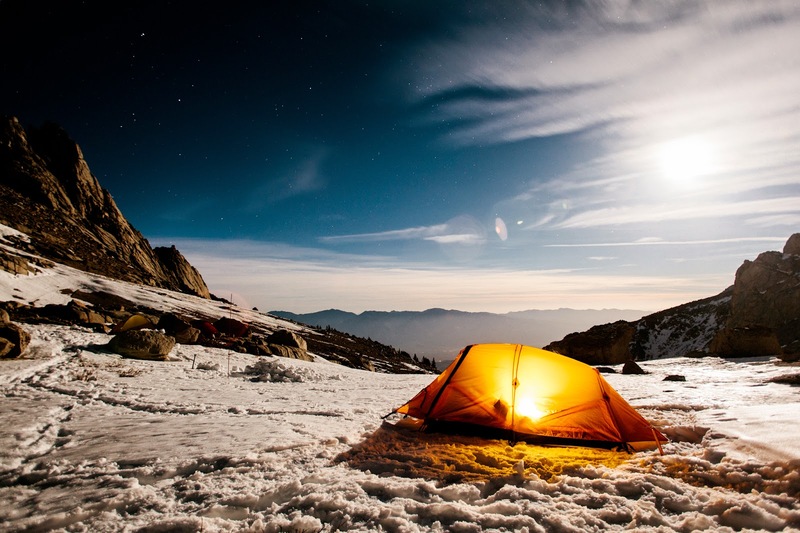 If we were smart, we would have left the gear stashed on the ridge, and attempted the link-up after a day of rest. Instead, we started driving for Zion early the next morning. 100 miles down the road, we stopped for coffee. An off-hand check of the smartphone yielded a 70% chance of T-storms in the Springdale area. We weren’t going to be climbing in Zion anytime in the two days we had left. “We could go home to the ladies,” Steffan suggested. But we both knew that the link-up would persist in our thoughts until we put it to bed. We had to find out if we had what it took. First thing the next morning we left our camp at the base of Castleton. An hour and a half later, the gear was stashed at the bottom of the iconic tower. Tomorrow we would start with Castleton, and work our way towards Sister Superior. An alpine start the next morning, and I was leading up the first pitch of the North Face of Castleton as dawn broke. 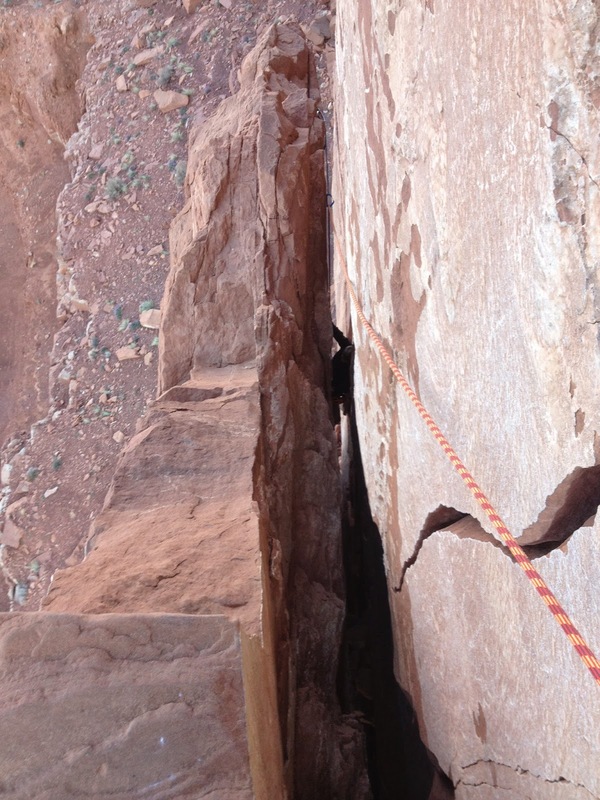 Endless fist-jams led to a difficult move on slick calcite rock to the chains. Steffan followed quickly up and took the lead on the next pitch of funky 5.10+. I took over again at 8 AM, an hour and thirty minutes after starting the route. 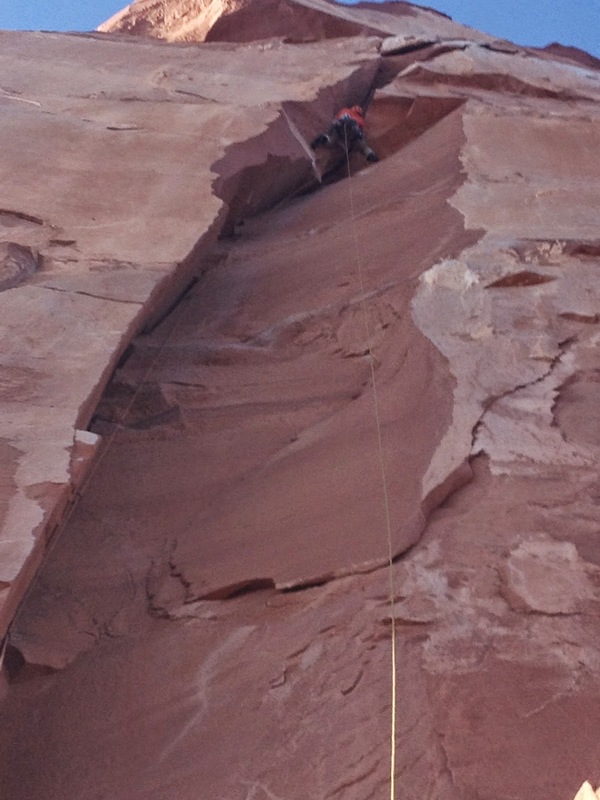 We dispatched the last two 5.10 pitches and began our rappel. Reaching the ground we ran towards Fine Jade, the route that had SNAFU’ed us two days before. We were moving well and had a great chance of finishing in the day light. To our dismay, two parties were on route, with one waiting. Our only hope was to continue on, with hope of hitting Fine Jade last, but adding 2 miles of hiking and 9 pitches of climbing before we’d have our turn. Quickly dispatching Honeymoon Chimney, we sprinted towards Sister Superior. A long shot. We roped up for the first pitch of Jah Man at 3pm, and with the desert sun berating us on the windless face, we fought our way to the summit. Running back towards Fine Jade pushed us to beyond our fitness. At the base of the Priest, with a waning sun, we sat and tried to recover our psyche. “Let’s go see if it’s open at least,” Steffan said. I followed, fully ready to demolish mac and cheese back at camp, but, like Steffan, unwilling to admit defeat. There were no parties blocking our way on Fine Jade. We sat underneath the route absolutely spent, and watched the sun sink to illuminate the splitter cracks of Fine Jade as it made its descent. The pursuit of the link-up would have to wait for another time, when we were stronger, and luckier. As we made our way down to camp in the waning light, a perma-smile took residence on my face. 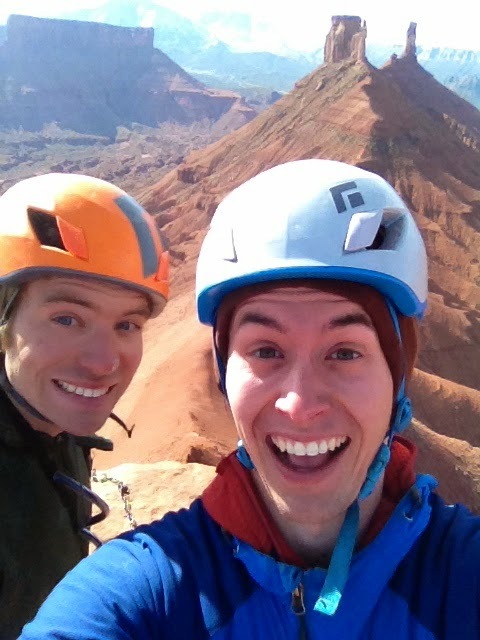 I noticed the same gleefulness in Steffans expression as we humped our gear-laden packs down the side of the ridge. There were no feelings of disappointment, and no regrets. 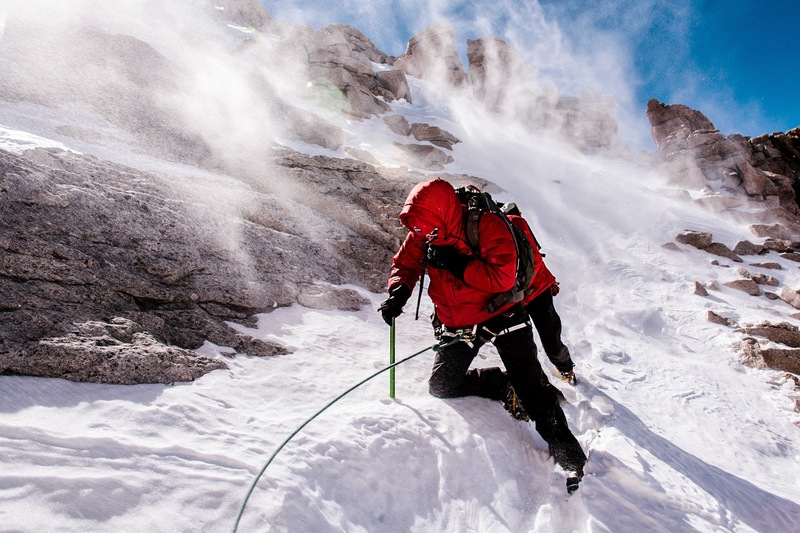 We had just realized the climber's dream- to attempt something we weren't sure we could finish. And though we were defeated, in our shortcomings we were able to honestly evaluate the progress we had made in our sport. As we laughed and joked our way down the hillside, it was obvious we had won in at least one aspect. Flakes are falling, passes are on sale, wax is being melted, and bullwheels are even starting to turn. And with the return of the ski season comes the return of the ski-movie season. We've already had a couple great ones roll through town, and have a couple more to look forward to. 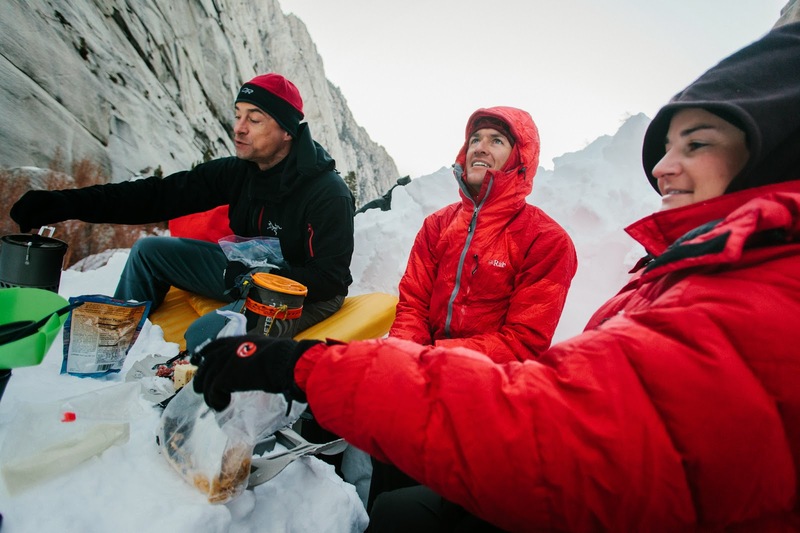 We've seen epic ice climber Will Gadd tackle some tough routes before. When he brought Helmcken Falls into the ice climbing spotlight, we knew there was some amazing potential. In this latest teaser, we see Will working on his 7 pitch project to connect the base of the falls all the way to the top. Coming up on November 7, AAI will be at Aslan Brewery with Mt. Baker Experience for the showing of Matchstick Production's "Days of My Youth." Here's the trailer to whet your appetite and help you remember the good ol' days. 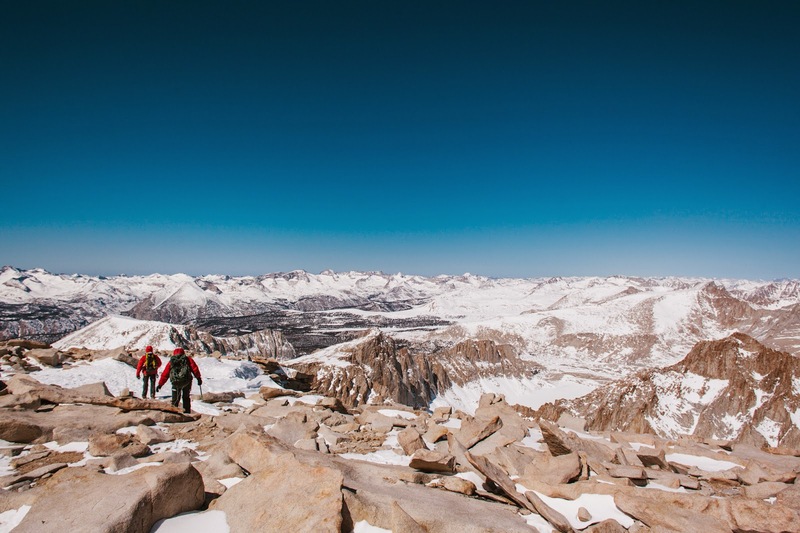 Thousands of people climb Mount Whitney in the summertime - it’s one of the most popular peaks in the country, due to its beauty, accessibility and its status as the tallest peak in the Lower 48. However, from sometime in late fall to early summer, it’s a different beast. 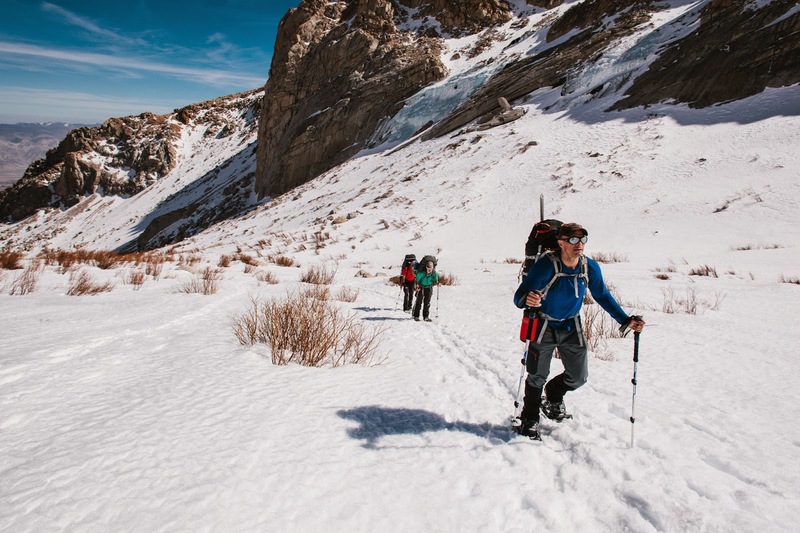 Snow, ice and low temperatures turn what is often considered a hard day-hike (especially if we’re talking about the Whitney Trail) into a more difficult snow climb. 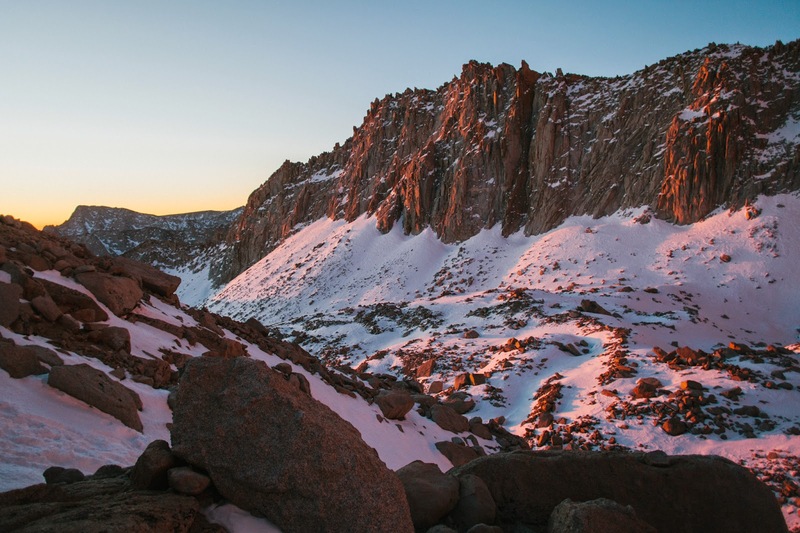 Fewer people climb the mountain in the winter, but the experience can be one of beauty and solitude - something rarely found on Mount Whitney. 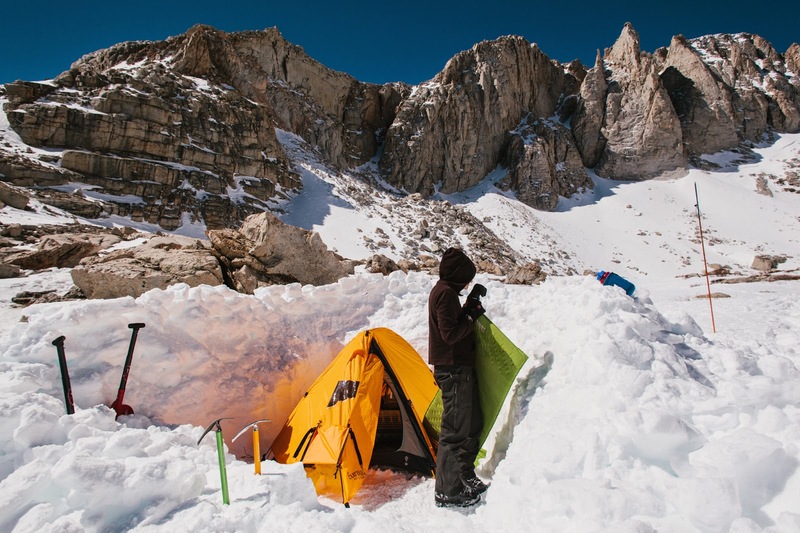 The following are pictures from a Winter Mountaineering in the Sierra Course offered by AAI, in which climbers learn winter camping and mountaineering skills and get in a summit of Mount Whitney via the Mountaineer’s Route. The pictures were taken by Chris Brinlee - a phenomenal professional photographer. As you can see, it’s a gorgeous route, and very rewarding! 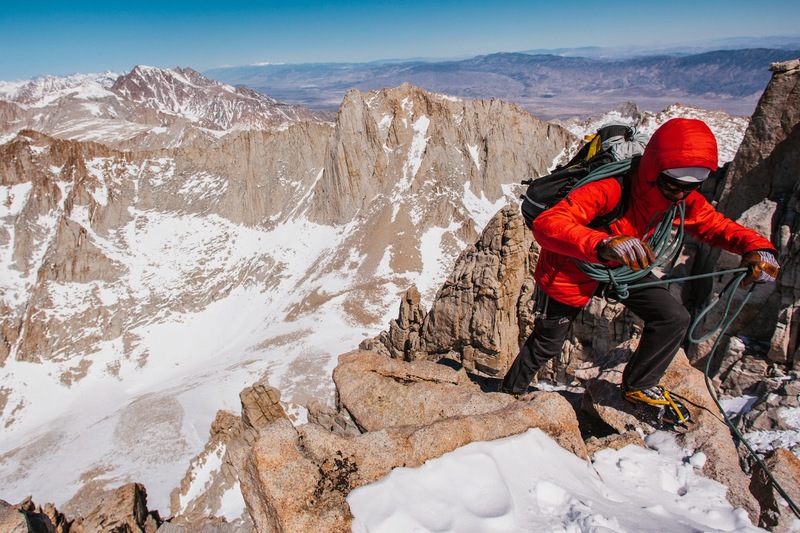 If you are interested in climbing Mount Whitney in the winter with AAI guides, give us a call at 360-671-1505 or email info@alpineinstitute.com! 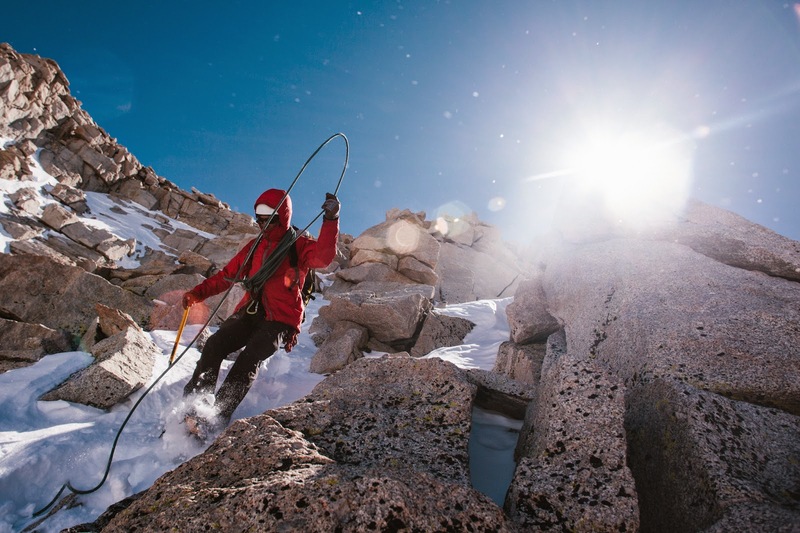 This article is Part II of our climbing etiquette series. 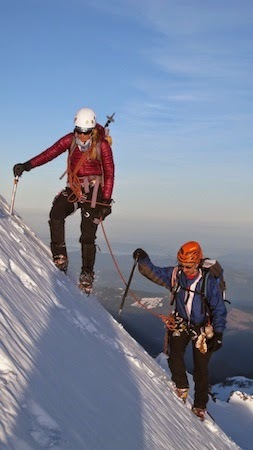 To read Part I, Glacier Climbing Etiquette Questions, please click here. If you have to defeicate, know the rules of the area. Some areas require the use of WAG Bags, while other areas require you to dig a cat hole and pack out your toilet paper. Never go to the bathroom on the ground, stack the toilet paper on it and then put a rock on top. 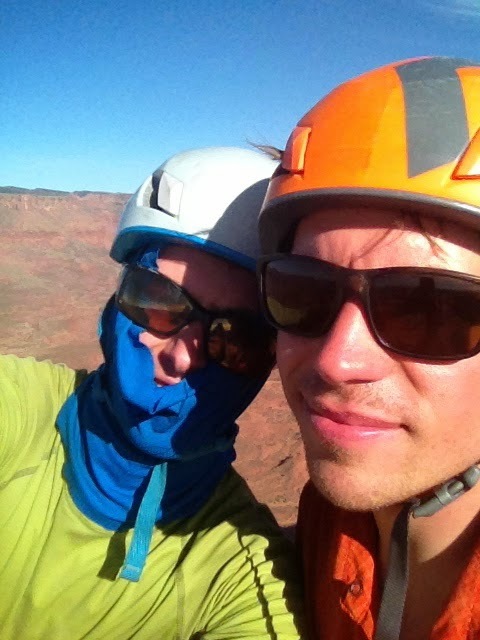 One week ago today, we lost a dear friend and an inspiration to the climbing and splitboarding community. 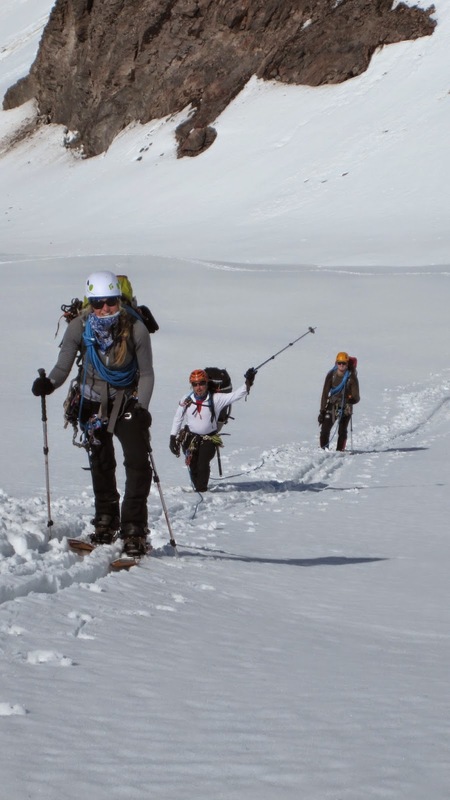 On September 29th, AAI Guide Liz Daley was killed in an avalanche in Patagoina while on a photo shoot. 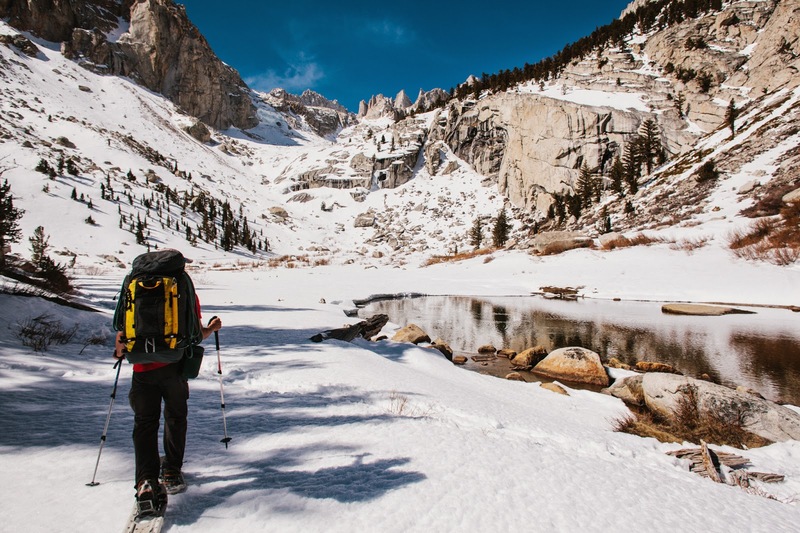 We announced this tragic news last Wednesday when Dunham Gooding, the American Alpine Institute's Director wrote this blog. 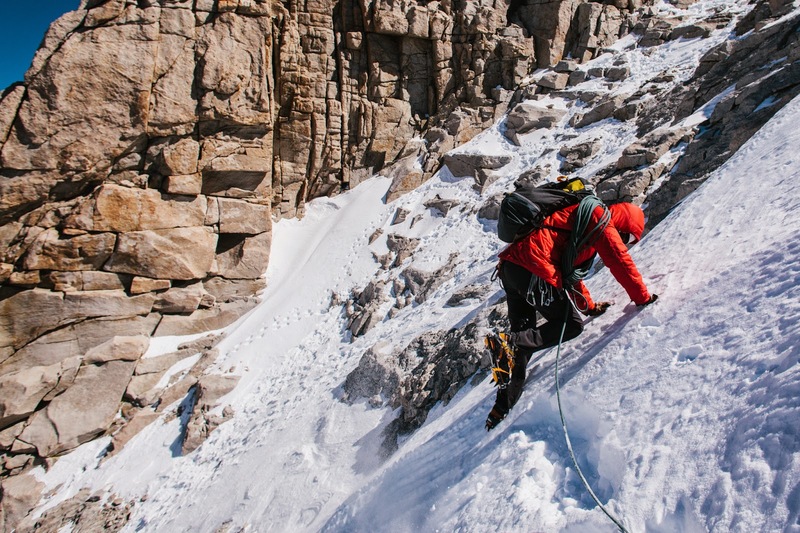 And here is a wonderful article she wrote for Teton Gravity Research, which we reposted on our blog.